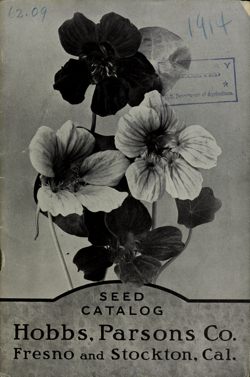 IN OFFERING our Catalogue for 1913, we do so with the purpose of submitting an intelligent list of the Garden, Flower and Field Seeds that have proved to be of sufficient merit to warrant recognition as standard varieties. Many novelties are introduced each year, but in most cases they lack com mercial value and are consequently dropped. 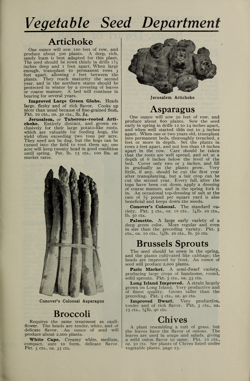 Therefore, we have aimed to list nothing but standard seeds, and the descriptions accompanying them are based on actual experience and observation. We have endeavored to make them as accurate as possible, thus enabling the purchaser to make selections without mistake. Publisher Fresno, Calif. ; Stockton, Calif. : Hobbs, Parsons Co.